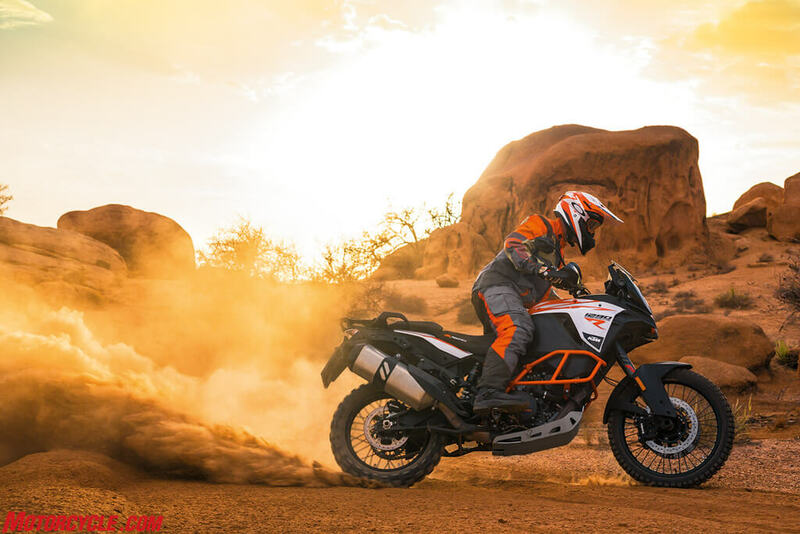 With their origins in Austria, KTM-Sportmotorcycle AG has since its inception in 1934 established itself as street-ready motorcycle production powerhouse and they carry on in brilliant fashion with their latest offering; the 2016 KTM 1290 Super Adventure. 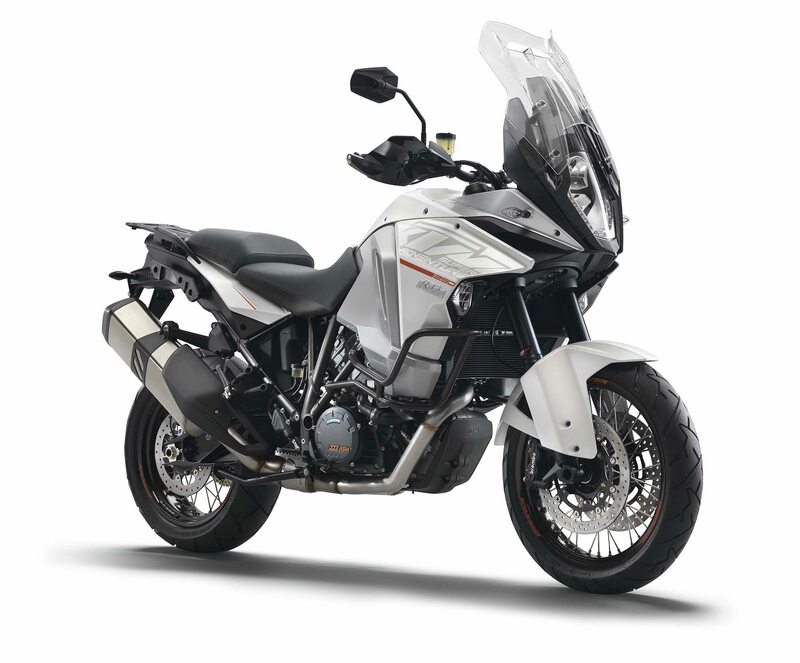 Based on the most powerful travel endure engine we’ve seen yet, the Super Adventure’s 1301cc displacement, 4-stroke, liquid-cooled, 2-cylinder engine with a 160hp peak and a pulling power of 108Nm at 2500 rpm is sure to take on the most daunting challenges with jaw-dropping ease. 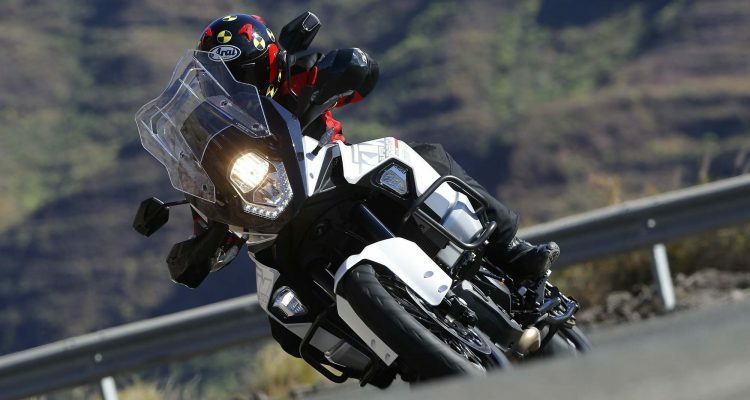 Smooth throttle response is afforded riders by the Adventure’s ride-by-wire system while a smoothly shaped crankshaft web results in low loss-running conditions. Well-spaced gear-ratios feature an extended sixth overdrive gear , and this coupled with standard cruise control, long service intervals, and a 3-pump forced oil lubrication system, comfort and fuel efficiency are impressively delivered . 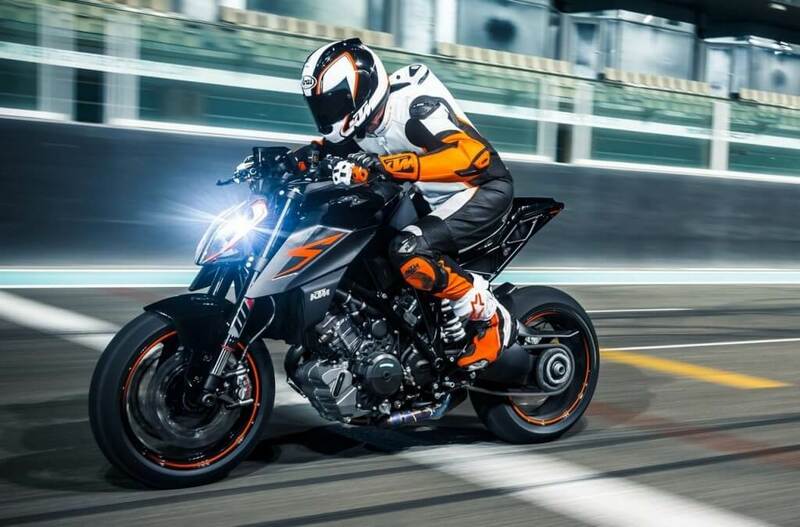 Twin ignition systems control the spark plugs independently while slipper clutch technology and state-of-the-art four-valve cylinder heads with twin overhead cams meld beautifully to achieve optimum performance and efficiency under all riding modes and conditions. An ultra-lightweight yet extremely hardy tubular frame holds together a ton of specialist features. 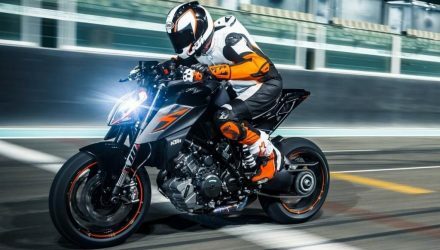 A steering damper, tubeless wire-spoked wheels with fat tires and tuned suspension, Brembo braking kit with MSC, MTC (Motorcycle Traction Control), and lean-sensitive C-ABS developed in conjunction with Bosch work beautifully with the innovative WP Semi-active Suspension system equipped with a Suspension Control Unit (SCU) that adapts to damping rates in real-time to afford riders sublime feedback with inimitable safety. Motor Slip Recognition (MSR), Hill Hold Control(HHC), and a Tire Pressure Monitoring System &#40;TPMS&#41; are all included as well. 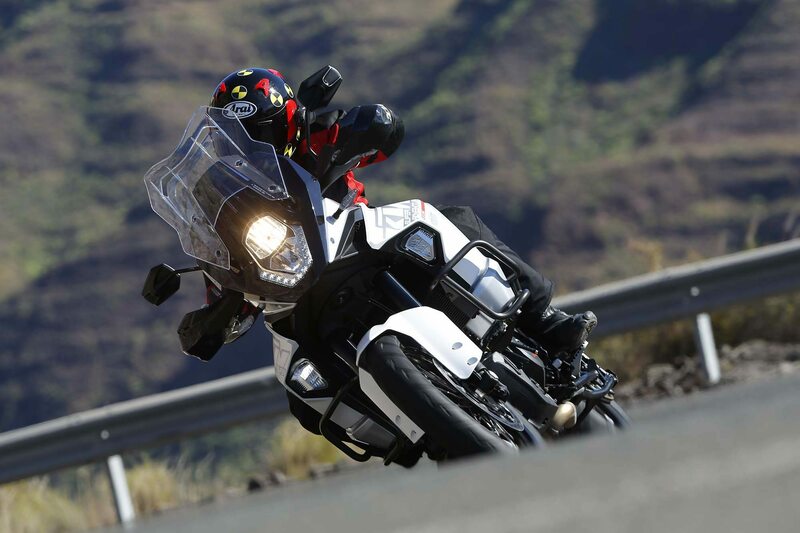 Heated comfort seats and grips, a 30-litre long range fuel tank, LED cornering lights and an easily adjustable windshield combine with the Adventurer’s fiercely spirited ergonomics to deliver a riding experience that feels every bit as good as it looks- awesome. 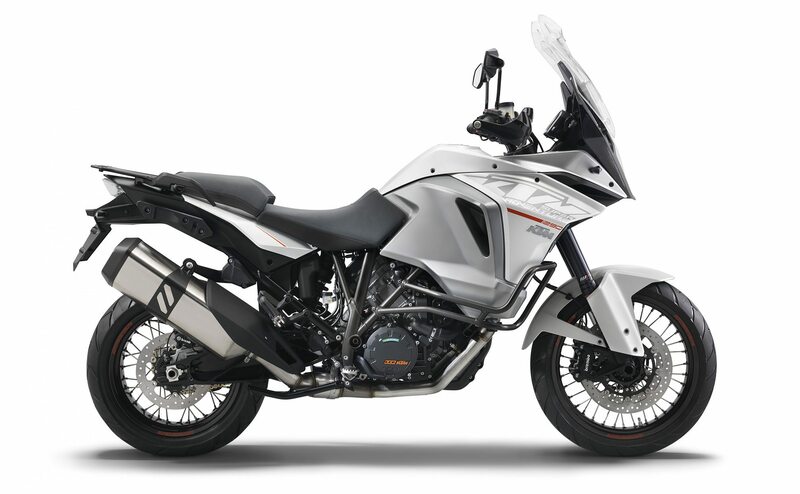 The much-anticipated 2016 KTM 1290 Super Adventure will bear a Manufacturer Suggested Retail Price (MSRP) of £16199 GBP with the final sale price dependent upon options input and dealer factorizations. 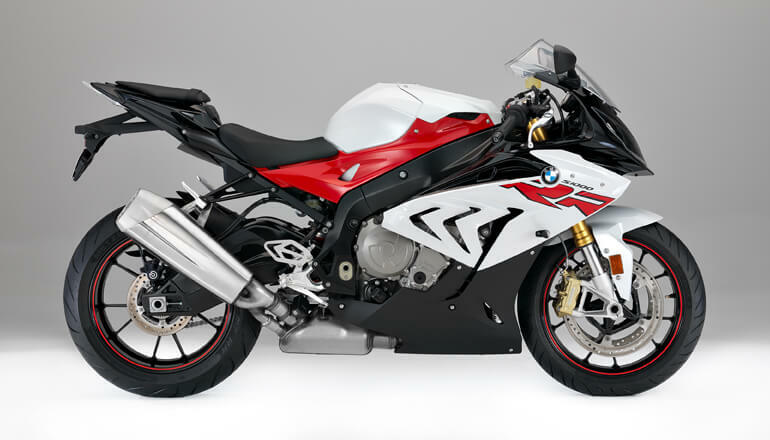 U.S. and Canada buyers to observe dealer pricing.